Welcome to Owl-Ways Be Inspired – a new teacher collaboration blog authored by some of your favorite 2nd and 3rd grade teacher bloggers and dedicated to creating a virtual smorgasbord of awesome resources! 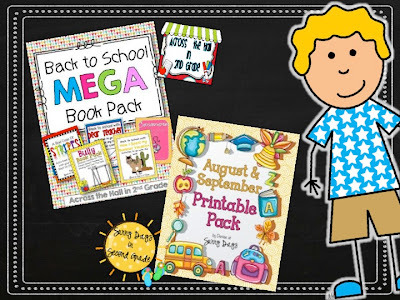 On this blog we will be providing you with fantastic ideas, awesome freebies, and fabulous products that will make your life in the classroom a wee bit easier. Are you ready to join us in this new adventure?! Over the next three weeks, each author will write a little introduction and provide you with an exclusive freebie only found on our blog! You won't be able to get these in our stores, either! So..make sure you follow along with us! 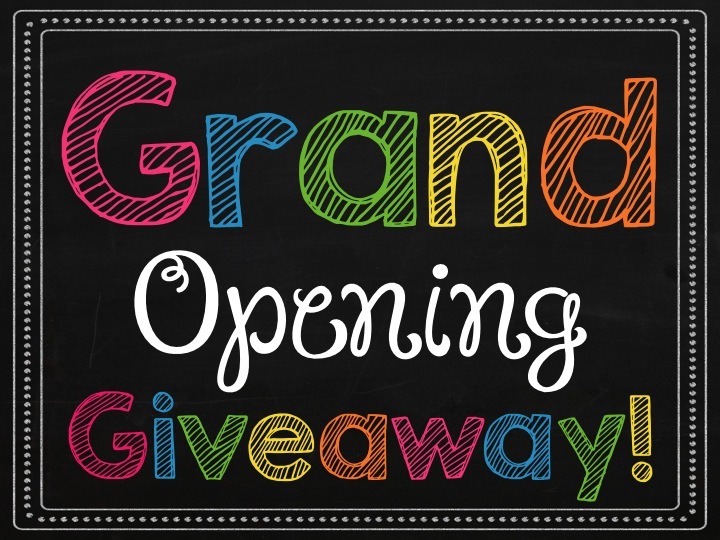 To celebrate the grand opening of this collaborative blog we are having a fabulous giveaway! 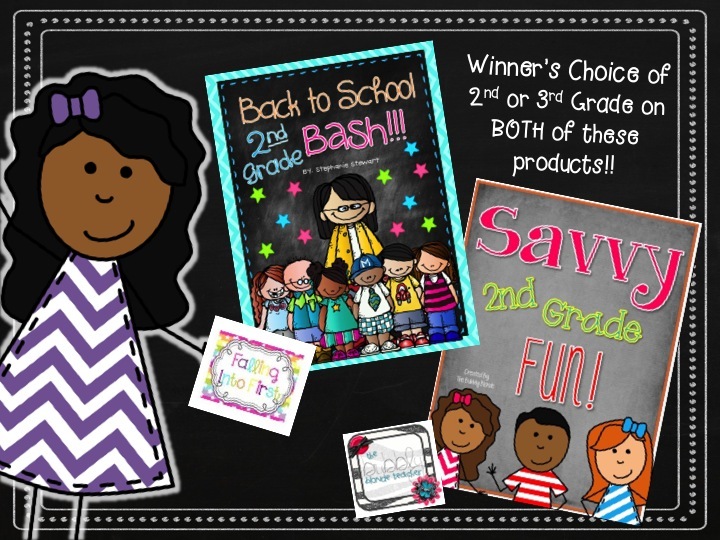 Take a look at all of these awesome B2S goodies! Giveaway Ends Friday, July 19th! So excited to find a group blog for 2nd grade. I'm moving up from first this upcoming year so I can't wait to see what fabulous freebies and ideas will be shared. Congrats!! Hello Anice! I've taught second grade for 11 years now . If you need any incite I'd be glad to let you pick my brain!! I am loving this blog! I can't wait to get my post up! I'm student teaching this year in 3rd grade and I was so excited to find this blog! I'm looking forward to learning a lot of new tricks and ideas! The best thing about teaching second grade is that they are more independent but still sweet and naive... lol. So excited for a 2nd grade blog with lots of different authors. Can't wait for new ideas. The best thing about teaching 2nd grade is everything! I love 2nd grade the best. Taught 6 years in 1st and wouldn't go back. I will be teaching second for three years now. I would say one of the great things about 2nd is the level of independence that the kids develop through the year. I think it really sets them up for the future! I don't teach 2nd or 3rd, but many of my 1st graders have a year in between K and 1st (Pre-first), so they are the age of most 2nd graders and our 1st grade curriculum is similar to that of many public 2nd grades (we're a private school). I enjoy the kids' sense of humor at this age and appreciate how they let their free spirit shine! Very excited for this new blog- What a GREAT group!! The best thing about teaching second grade is that the kiddos love coming to school and love their teacher! 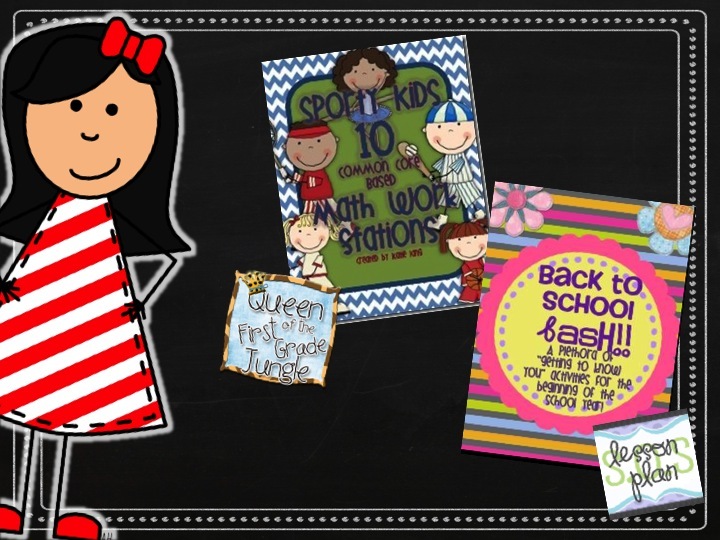 I'm moving from Kindergarten to 2nd grade this year - and I can't wait!!!! Always love to find new blogs! Looking forward to learning from you all! I've worked with special needs elementary kids for the past few years, and this year I will be a regular ed 2nd grade teacher so I need all the ideas I can get. So glad to have found this blog! Great idea. I am so looking forward to this! Congrats ladies! Good site to follow even though I'm a first grade teacher. I love new ideas to use or share with others! The best thing about teaching 2nd grade is how loving the kids are and how independent they become!! I love teaching second grade because of the wonderful chances that we have as teachers to mold our students into fantastic citizens. I especially love the effect that the students have on molding us into the great teachers that we strive to be! I look forward to all of your wonderful resources! This is so awesome!!! Number ONE I love OWLS ;) Number TWO there is SOOOO much material out there for K-2 only. I teach third grade and love having this as a new resource. The best thing about teaching third grade is that the children are funny, smart, independent but still need a hug!!! I'm so glad I found this blog for a resource! Sometimes it's hard to find activities that fit perfectly for my third grade classroom. Since I've been switching everything over to Common Core for awhile, I'm on the lookout for new materials! I'm a second grade teacher so this blog is going to be perfect. Can't wait to see all the great ideas! Thanks! I am so excited about this board! I have been teaching 2nd grade for 7 years now. 2nd grade is amazing! I love seeing them transition from little firsties (learning to read) to third graders (reading to learn) by the end of the year. 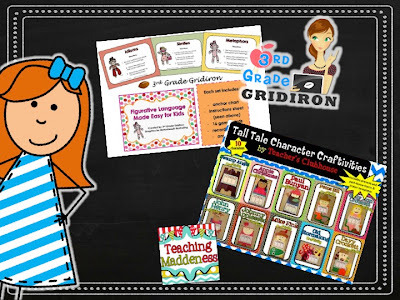 This is my third year teaching in 2nd grade and what I love the most is their eagerness to learn... And they still love on the teacher :0) I am so excited about this blog - so many wonderful teachers coming together! I love teaching 2nd grade! I am looking forward to reading and learning from your blog. I love 3rd graders! They are more independent, yet still love school and have the excitement being there. Miss the daily hugs from my 3rd graders. Third is great because the kids are still young and want to please the teacher but they are also old enough to get my jokes. Excited about this blog! I love teaching 2nd grade because they are still such eager learners! They are pretty innocent and sweet still at this age too. I love watching them become more independent as the year progresses. It's such a fun grade level! TEaching 2nd grade is so much fun! I love seeing my students' faces light up when they realize that they can do it! I am so excited about this new blog and all the wonderful tips and stories that will be shared! The best thing about 3rd grade is that students don't need to get their nose wiped by the teacher! Students at this level are very eager to learn and EVERYTHING is a learning experience. These are the only grades I have taught, and I love that they are so easily influenced, which makes me work harder to lead them in the right direction!! I love the excitement that is found in second grade. My kiddos are curious & fascinated by so much while growing to become more independent! I love teaching 2nd grade because they are thoughtful to one another, beg for new knowledge, and are silly and funny. It is amazing the progress 2nd graders can make in a year. The greatest thing about second graders is that they're still so brutally honest. The best thing about teaching second grade, is the bond that you create with your students! I love when they get excited to see me walking into the classroom and start giving me hugs! I'm so excited for this new blog and the awesome giveaway. Thank you! I am a first year teacher who will be teaching second grade. I love this grade level because the kiddos are starting to gain more independence, but they still adore the adults in their lives. It is the PERFECT age. The best thing about second grade is that they can start to do things on their own, but they still need me and aren't too cool to show it. The funny things kids say!!! The best thing about 2nd grade is that it is a building year. You get to expand on their reading, writing, and math knowledge and most of them grow SO much in 2nd grade. They also still love their teacher ( me!) and aren't afraid to tell you so and give hugs. They are still little kids but most of the time you don't have to worry about wet pants! LOL! They love it when you are kooky and crazy and don't worry about trying to be too cool to laugh right along with you. I could go on and on. I love 2nd grade! This is the best age group! I'm so excited to find this blog! This will be my first full year in second grade in about a decade! Things have changed in that time (for the better, I think!) I took over in January for another teacher in second grade, and I LOVE this age! second and third graders are so awesome! They are still young enough to LOVE you, and still mostly excited about school. Plus they are just so cute! This will only be my 2nd year in 2nd grade, so I am still learning about the lower grades. I was in 3rd/4th grade for 27 years! The best thing about teaching second...they can already read and are more independent, but they haven't quite lost all of their sweetness and willingness to sing, dance, and be silly! Love this blog idea! I taught third for a couple of years, and then moved down to second. I was fortunate to each a 2/3 combo last year, the best of both worlds! I am teaching a full 2nd as of now for this upcoming year. I love how independent kids are at this age and their reading skyrockets! I love that although they come in just as needy as the little first graders they were, they do become quite independent in second grade for the most part. I also enjoy their little stories and the fact that they still get excited by stickers and pencils. The best thing about teaching 2nd grade is the smiling faces and the desire to learn that comes from my children! I love their energy and how they make me feel young!! I'm so excited about this collaborative board. I've seen others but never really just for 2nd and 3rd grade. I can't wait to see what happens. I have been teaching 3rd grade for 10 years and love it! 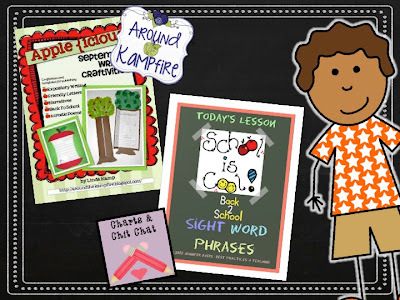 I'm always excited to find blogs and ideas to keep my instruction fresh and new! I love the age because as Karri-Anne said the kids are becoming more independent but are still respectful and loving. Can't wait to check out all the amazing ideas. The best thing about teaching 3rd Grade is seeing their faces as they finally learn their multiplication tables...and tricks!! Oh, and the best thing about 2nd grade is watching the children journey into independence and confidence in reading. I also love how much the kids love to be loved. They are just the right age. This will be my 3rd year teaching 2nd. I love this age. They are so independent yet still want to give you a hug each day. You can joke and play around yet be serious. Its the best! 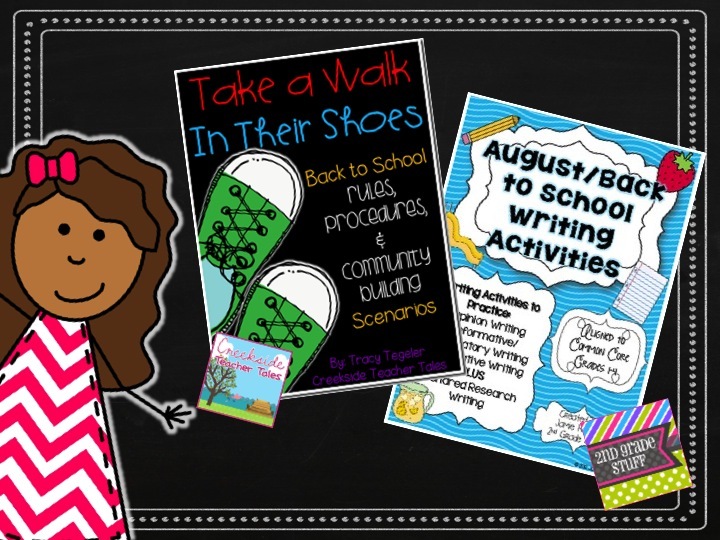 As a first-year second grade teacher, I am really excited about this blog! 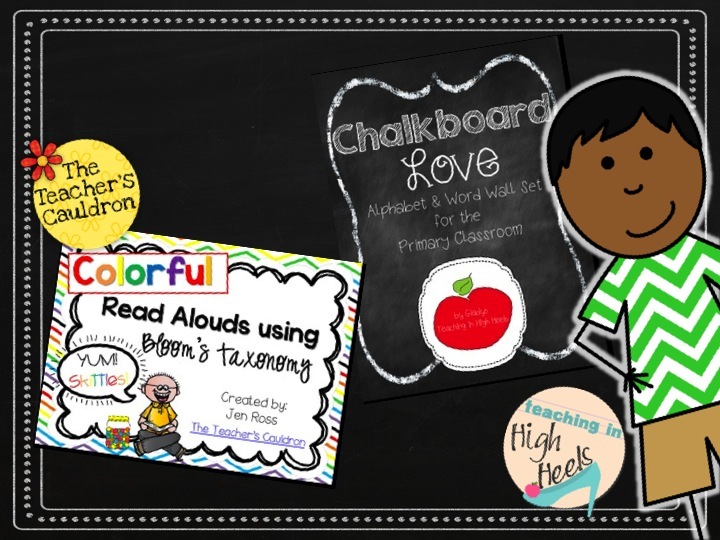 I can't wait to see all of the great ideas and resources on here! the kids!!! Even after 26 years!!! Loved my 4th graders but enjoy 2nd!!! The best thing about teaching 3rd grade was the amount of independence the students had. Now that I am a 2nd grade teacher, I love the amount of fun and happiness my kids have! They love hands on art projects, so I try to incorporate some type of art daily. They are little sponges! Second grade is the best because the students are willing to try anything and still listen (for the most part). They love to learn. I'll be teaching gr.1/2 next year for the first time. I found lots of resources for first grade so I'm so glad to have found you! I love second grade. The kids are so sweet and loving and eager to learn. I'm so glad that you started this blog! Third graders rock because they are still sweet and aim to please like the little ones, but they are so much more independent. 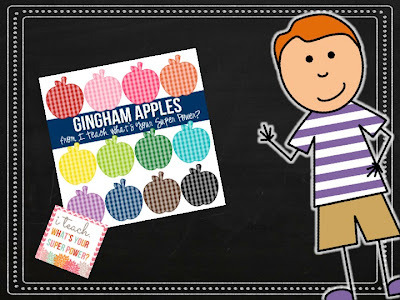 I have used the same art activities from Pre-K, but I give them the patterns and cut them loose. They'll say, "Can I add a ....?" Sure! Their ideas are great! I am very excited to see this combination of talent. I teach 2nd grade in a private school where I teach at an accelerated level and pace. 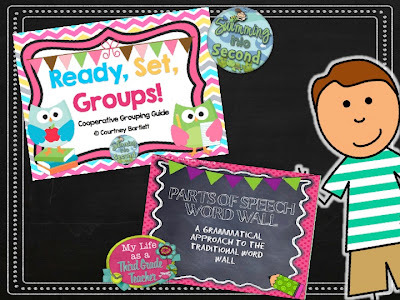 I'm always looking for ideas to streach across both grade levels to accommodate all my learners! Love this grade levels enthusiasim! I'm loving this new venture that y'all have started! My favorite thing about teaching second grade is the kiddos. They're so sweet and loving, and still so eager to learn! I like that are more independent! After the first couple weeks they catch and are ready to take on their tasks. I can't wait to see all your wonderful resources! Wow, I did it!! I am now following everyone on Blog Lovin.....I tried to pin a few things but I am still learning:) I can not wait to go through each blog.....why??? because all of you inspire me to be a better teacher.......You guys are amazing!! I am moving up to second grade this year after many years in first and with all of your help I know I will be successful! Thank you most wonderful teachers!! A true gift from God!! 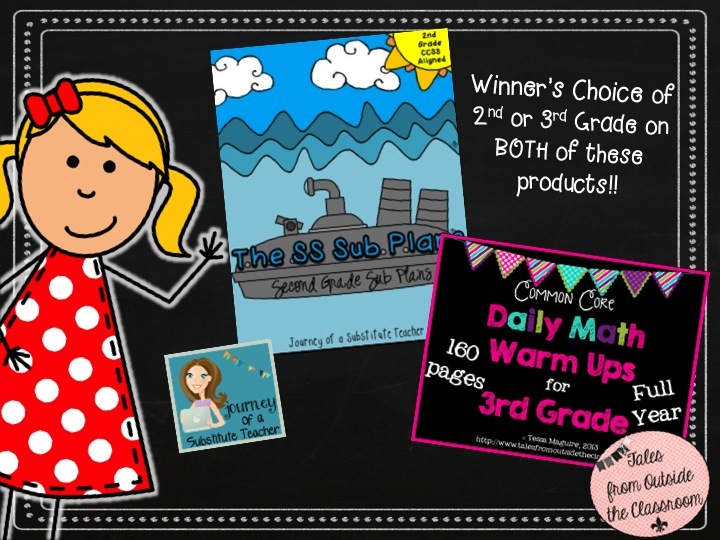 Yay for a Giveaway & a new collaborative place to share! Ive taught 2nd grade for 10 years and will be moving up to 3rd grade this year! Yeah! I am your newest follower... :) Yippee!!! Looking forward to getting some new ideas for my classroom and students!! I teach third grade. I love that they are old enough to have a sense of humor yet young enough to still love school and their teacher. It just makes teaching more fun! The best thing about teaching 2nd grade is the sense of excitement! The BEST thing about teaching 2nd\3rd....ALL THOSE HUGS!!!! I'm moving from 2nd to 3rd. I taughter a year and a half in third. Love this blog!!! I'm so stinking excited to be following y'alls blog! I'm moving up from first to second and I'm starting to get a little nervous. This blog will be soooo helpful. My favorite part of first grade is the end of the year when they are a tad bit more independent. So I think that will be my favorite part of second, that they are more independent but still need a bit of guidance :). Thanks for starting this blog. You guys rock! The best thing about second grade is that they are more indpendent but still love to learn and think you are the best. They are also so funny. They get jokes and start to tell them to you---sometimes they are so dumb they are funny. Every day is a different opportunity to touch the life of a child. 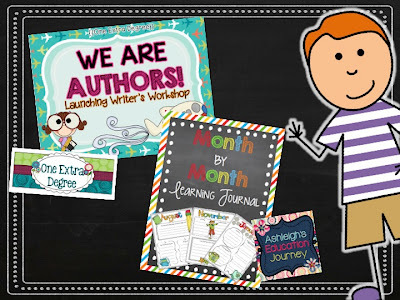 I teach grade 2 and let me tell you I am SO excited to see a blog like yours! My favorite part about teaching grade 2 is how open and honest they are about everything! They come in everyday with a fresh attitude and and new approach! So excited to find all of you talented ladies in one blog!! I teach 3rd grade and I am happy to have this great resource to follow! Thank you so much! I love second grader's independence, ability to write, their humor, and the curriculum! I love their honesty and willingness to try anything. I am so happy to be teaching 1st- 4th grade, so I can experience the best of all primary grades! Eeeeeee!! I am SO excited to teach 2nd grade this year!! I taught kindergarten for two years and now am moving up to 2nd and just CAN'T wait! So, I'm not sure what the best thing will be about teaching second grade, but I DO know that one of the best parts of teaching is just getting to love those little munchkins, hear their stories, make them feel loved and encouraged. I love that as their teacher, I get a role in showing them how special and unique they are, how much potential they have, and how much they are loved! I really enjoy getting to teach and challenge them academically, as well as mold them behaviorally and emotionally as a sweet little person. We have the best job EVER!! =) Thank you so much for this blog and all the collaboration and help...I'm excited for the new year! It's great to have a collaboration of ideas all in one place! Thanks!! I love 2nd and 3rd grade because they are becoming just a little more independent, but still love all the cute books and center ideas! Best thing about teaching 2nd grade is that they can already read something and are more independent than 1st graders (for the most part). This is an amazing giveaway! 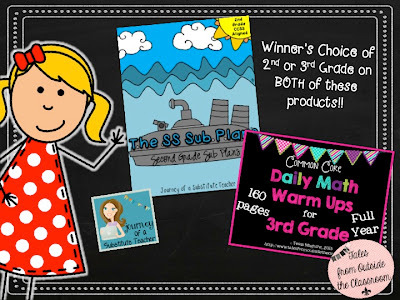 I'm switching grades to teach 3rd this year and this would be such a help in the transition! Love having a new resource to look at. I wish I could find the time to be as creative as so many of you. I have taught 2nd grade for 11 years and this year I will be teaching 2/3 combined! This is perfect for me and I am really looking forward to following this awesome site! I love teaching 3rd grade because they are more independent, still love to give hugs, love to do crafty things, and they tend to get my jokes! I love teaching second grade because the little one still get excited about learning new things! I think one of the best things about second and third grade is that the students begin to see themselves as independent readers and writers. They start moving beyond decoding to developing their own taste and voice. The best think about 2nd grade is that they are fairly independent, but not too "big" to give you a hug! The best thing about teaching third grade is their newly found independence. 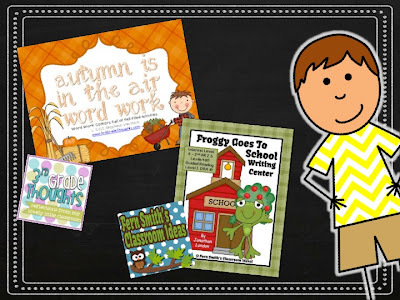 Looking forward to the wonderful resources this blog will offer! This will be my 15th year in 2nd grade and I LOVE gleaning new ideas and inspiration from others who are in the trenches giving our best to our 2nd graders each day! Love this new blog! 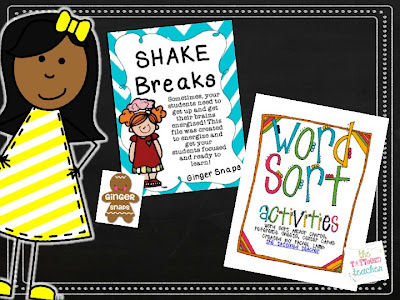 I teach third grade and it will be great to have some transitional activities for my students! Love the blog design! I enjoy watching my 3rd graders coming in and thinking, "Wow they are still babies". But by the end of the year, they have gained so much independence. I've been teaching for 30+ years, taught several grades K-5 and 2nd is my favorite! They're learning to be more independent and still love their teacher! I love second graders because sometimes you just wonder what they're thinking! And that you are just never going to understand them! I'm starting in 2nd grade for the first time after 20 years in 4th. I love the idea of having one blog to visit this fall when I am pressed for time. I am super excited about this sight!! This is my 8th year of teaching, and I think the best thing about 2nd grade is the awesome mix of independence/innocence in my students. I LOVE my job and have fun everyday! Not many can say that! The best thing about teaching 3rd grade is that my kiddos are independent learners, but so dependent for love! They work hard for their teacher and aren't too old for hugs! I Will Be Teaching 2Nd Grade For The First Time Next Year! I Look Forward To All The Ideas And Sharing! I love how 2nd graders still enjoy coming to school, yet have the independence to get work done. We also don't have state testing in 2nd grade that might scare the kiddos. The best thing about teaching 2nd grade is working with the kids and watching them grow as children and learners. The NEXT BEST thing is finding great ideas from amazing teachers on line as well as in my school. I love collaborating! Thank you! Your blog will be great! I am just starting my career as a 2nd grade teacher. I am so excited! I am a first year 3rd grade teacher and I know this will be helpful! Thanks! This is my second year at third grade after many years of K. I like the independence development of thirdsters! Just moved from 2nd to 3rd last year. I love how the world is still fresh to them, math is "magic", and they are starting to put the pieces all together. I worked with jr high hormones this summer so i love my kiddos even more now! First of all...I'm super excited about this blog and can't wait to read all the fun things that all the authors have to share! I have taught both 2nd and 3rd and love them both! I'm currently teaching 3rd grade and love that they are independent yet still love school. I love that you can still pretend and have fun with this age!! The best thing is that second graders are the best....not too grown up or cocky, but not babies either. They can read, they can do math, they can write, and they can love you! Love seeing some of my favorite Bloggers on one spot. Collaboration at its best! 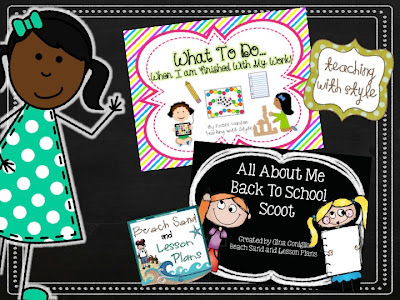 I am so excited to learn from and "steal" great ideas from all of the wonderful authors of this blog! The best thing about teaching these grades is that the students can do so much, they still love school, and they are not too cool for having fun and acting goofy. The best thing about teaching 2nd grade is all the lightbulb moments the kids have when they "get it"! Great new resource for a new 2nd grade teacher. I look forward to learning from you all! I've been a first grade teacher for many years and just this year have taken a position to teach third grade in a new district. I'm excited about your new blog! I love third grade they are still willing to listen and yet they are so unafraid to try things. It's such a transition year (at least at my school)they grow by leaps and bounds. As for why I love these grade levels, I just love the age that they're in. The students are becoming more independent, but still have a strong motivation to learn and they want your approval. Overall, they just have sweet little personalities that are just starting to shine through during these two years. I love how eager they are to please their teacher. Congrats on the new blog! I <3 it!!! 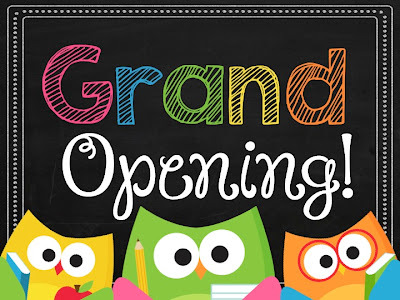 I have been teaching 2nd grade for the past six years and this upcoming year am making not only the jump up to third grade but am changing schools as well. I was lucky enough to find a third grade opening 1.2 miles away from my house after driving 35 miles a day for the past 6 years! I think the best things about second graders is the excitement with which they approach everything! They are so happy to be at school and to learn. I always fall more in love with them when they "buy" into my stories and make believe to picture some magical land or time! Looking forward to following this blog. So many new ideas and fun stuff to read and enjoy. I'm so excited for this blog! I love 2nd and 3rd grade so I can't wait for what you all have in store! I am looking forward to following your blog and gathering new ideas and resoures. I love that 3rd graders still love school and their teacher, but are independent! I love teaching 2nd grade because they are independent but still want to enjoy learning and please their teacher! So excited for this blog! Especially since this year I'm teaching 2nd AND 3rd grade!! I love how fun the kids are at this age. This blog is right up my alley since I teach 2nd grade! Looking forward to seeing what you post. 2nd Grade is special because of the LOVE that is present. It is the love that we can place in the children's heart for each other and for learning that makes all of the planning hours worth it! I am excited about this new blog and look forward to reading/learning many new and interesting ideas from you fantastic ladies! I enjoy teaching 2nd and 3rd graders. They are eager to learn and love to celebrate their successes! Second grade is a great age to teach! They are independent enough yet they still seem to enjoy school and like their teacher! I am SO EXCITED about this blog!! I've been teaching third grade for two years and LOVE the age and independence. I may be teaching second this year , I find out in a week and I'm very nervous about that! I can already tell that this is going to be an awesome blog! My favorite thing about teaching 3rd grade is that my students are (mostly) independent and learning a lot of responsibility, but at the same time still very young and sweet and huggy! I have been teaching second grade for 25 years! I love this age because they have already learned the basics. I get to have fun and enhance their skills. They still love to learn and are always eager to try something new. I am very excited about this new blog! I have taught third grade for three years, and I'll be teaching second grade this year! I love these two grades so much! What a great group! I love the second graders because they get so excited about everything and they are finding they can do more than they thought they could. I love teaching 2nd grade because of the kiddos! This age group is an absolute joy to work with! I love teaching 3rd grade as it was my favorite grade when I was in school- plus they are so much fun! Wow, this looks very neat and exciting. I cannot wait to see what's in store!!! Hope I win!!! I am excited about this blog. I can't wait to see all the ideas you will be sharing. The best thing about teaching second grade is these students are independent sort of and they are excited about everything new they learn. I love teaching second grade! I love teaching 3rd grade because they still love their teacher, love learning in fun ways, and are eager to become responsible upper elementary students. I moved from 5th grade to 2nd grade, so I think the best thing about teaching 2nd grade is that the kids still love school (for the most part) and their teachers and have so much excitement. Even if you have a bad day with a child in 2nd grade, they come back the next day and start fresh. It was not that way in 5th grade. Moving to 2nd was the best career move I've made so far. No regrets. This coming school year will be my third year in 2nd grade. I just finished my first year of teaching (2nd grade) and I fell in love with this grade!!! They are ready to be independent and so motivated to learn! Love 3rd grade!!!!! Students are such an inspiration. They are really asserting their learning independence. They still love the teacher. Nothing stands in their way! I love all the great ideas you post!!!! I love that 2nd graders are still innocent, but have more independence than younger children. The best thing about teaching second grade is the tremendous growth they make from babies at the beginning to big kids by the end! Very cute blog! 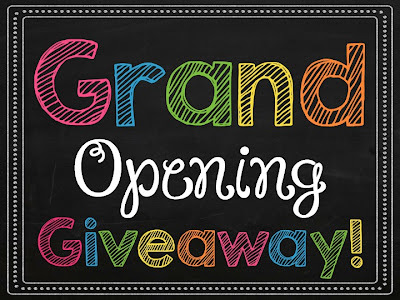 Thank you for the grand opening give-away! Second grade kiddos have a unique sense of humor I think. They are still mostly innocent, but they are just starting to understand humor. I agree! They can be so hilarious! What a great idea! This will be my fourth year teaching 3rd grade. My favorite part of the day is visiting Bloglovin to read all the wonderful posts. Looking forward to visiting this blog! I love that they come to you with the basics and you just need to polish and add to what they know! Also, they don't cry as much as first graders! I love watching 3rd graders become more independent and more responsible as the year progresses. This is such a big year for them and watching them reach for new challenges is so much fun! Third grade is the best because the skills and concepts are all new. Yes they build on some concepts from previous grades, but many more are introduced. I love watching them investigate and grasp the new skills. The best thing about teaching second grade is the age. They are young and sweet, and they always tell you what they think. I love how independent and grown up they get by the end of the year. I've taught both 2nd & 3rd grade and have loved them both. They come into the school year with some skills and are capable of having really good conversations. There isn't the attitude that often develops as they get older, and most want to do their best to please. I like that I get to introduce new things, and they think it is exciting, too. Teaching 2nd to me is the perfect grade. Kids still love pleasing the teacher, & you can still wow them with anything. The best thing about teaching 2nd grade is the age of the kids! Everyone who finds out I teach 2nd grade immediately says "that is the perfect grade" and I have to agree with them!